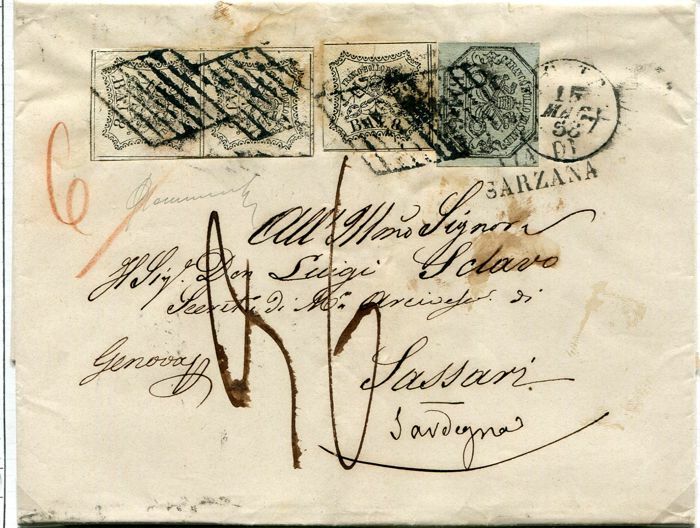 Rare letter complete with text, from ROMA (Rome) to Sassari, stamped with 6 bajocchi + 8 bajocchi (a single and a pair). All with very good margins. 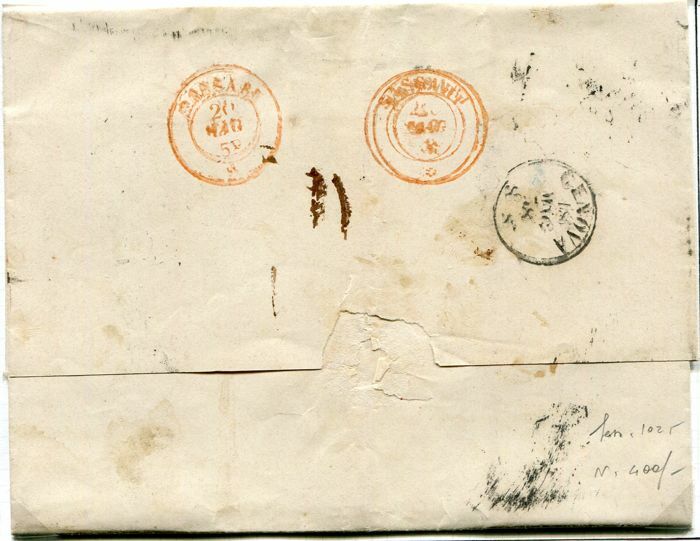 Truly unusual stamping, travelled by sea. Catalogue value in excess of €1,150.00.